So it would seem that most readers are in favor of the pursuit of environmentally friendly architecture and design and that is, in fact, a long time in coming into vogue. Green building and sustainable architecture should not come as a surprise to any of our readers as methods to achieve more favorable development within our environment. There are many movements and organizations under way that are working to that end, the USGBC and Architecture 2030 to name a few. Listed below are some additional links to interesting websites on the subject. 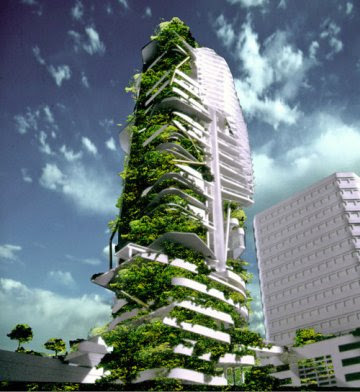 It would be great to get you and some of your readers to contribute to the discussion we have on "Green Architecture". There are also interviews coming up and a review of the Kappe Hammer conversation. Thank you for taking interest in our blog. We would recommend our readers take a look at your site as well. A link will be added in our sidebar. Thank you for turning us on to your work.